Indeed there was, as Rachel Harvey, Chief Officer, told us: “we arranged a trip to a local garden centre something that was more of a challenge, hiring a minibus for the experience … also, we have bought/repaired two wheelchairs that will greatly help us to take the clients out on trips in future and we hope that we can find plenty of places that will accommodate the groups. And there was still money left over for decorations, craft items and funds for an entertainer later in the year”. 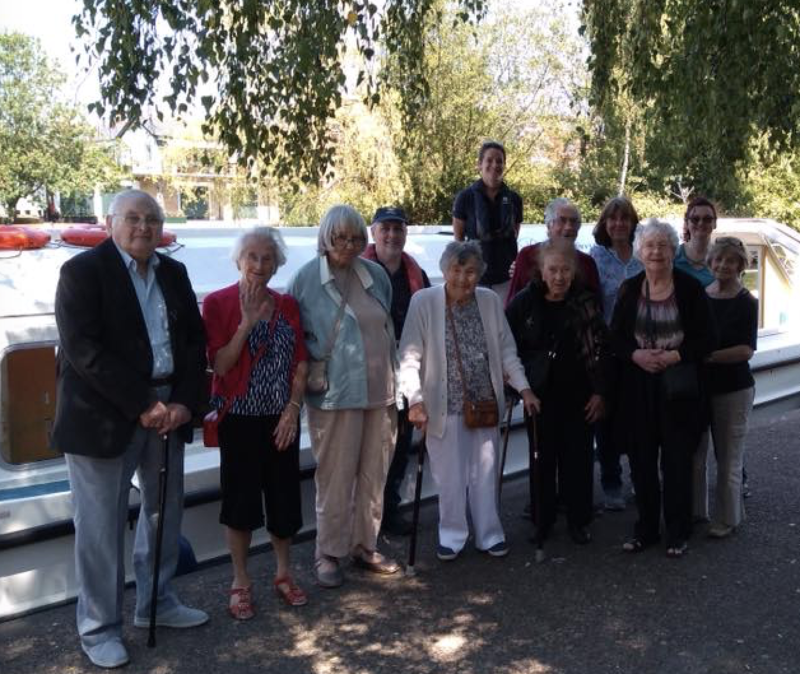 Jill concluded: “it is so good to see the money raised from a fun night out go so far for the elderly residents of Windsor”.